For week three of the UNM Evolutionary Medicine class we will discuss behavioral changes that happen with infection and sickness. One of my favorite topics is sickness behavior. Many different species alter their activity level, feeding behavior, and engage in novel behaviors that do not occur in health. Even caterpillars exhibit altered behavior when they are sick with infection. 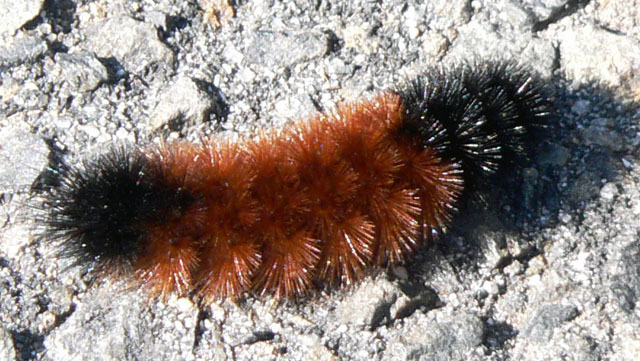 Woolly bear caterpillars seek out foods with plant toxins when they are infected with parasites. Is this self-medication behavior? Are we, like the caterpillars, predisposed to take medication when we don’t feel well? In the case of infection by parasites, one must consider the possibility that the behavioral hijacking. If so, the behavioral change might benefit the interest of the parasite, not its hosts. Read: Carl Zimmer reviewed some of the experimental and theoretical work supporting this view in the NY Times.